The amount of radiation your child receives is a concern of yours and ours. Over the past several years, we have moved to nearly exclusive use of rapid MRI scans in place of CT scans. 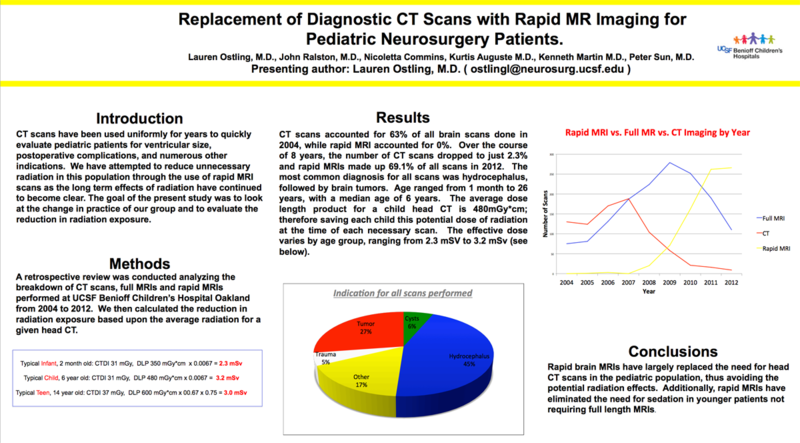 These “quick” scans allow us to obtain quality images in a rapid amount of time (approximately 5 minutes) and avoid unnecessary radiation or sedation for your child.